296 pages | 5 B/W Illus. 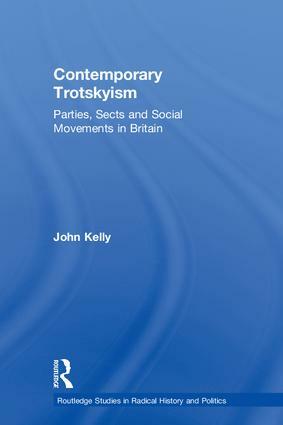 John Kelly teaches at the Department of Management, Birkbeck College, University of London. He has published widely on trade unions and the labour movement. The series Routledge Studies in Radical History and Politics has two areas of interest. Firstly, this series aims to publish books which focus on the history of movements of the radical left. ‘Movement of the radical left’ is here interpreted in its broadest sense as encompassing those past movements for radical change which operated in the mainstream political arena as with political parties, and past movements for change which operated more outside the mainstream as with millenarian movements, anarchist groups, utopian socialist communities, and trade unions. Secondly, this series aims to publish books which focus on more contemporary expressions of radical left-wing politics. Recent years have been witness to the emergence of a multitude of new radical movements adept at getting their voices in the public sphere. From those participating in the Arab Spring, the Occupy movement, community unionism, social media forums, independent media outlets, local voluntary organisations campaigning for progressive change, and so on, it seems to be the case that innovative networks of radicalism are being constructed in civil society that operate　in different public　forms. The series very much welcomes titles with a British focus, but is not limited to any particular national context or region. The series will encourage scholars who contribute to this series to draw on perspectives and insights from other disciplines.